Often clients always wonder if they should spend the money on a home inspection in Laguna Niguel, CA for a newly built home. After all, shouldn’t a brand new home be perfect? We have two words for those clients: Construction Oversight. Construction oversights are when in the process of building a home components are inadvertently left out. A quality home inspection, like one you will receive from Ingraffia Home Inspections when you call (714) 371-8422, will help you locate these oversights so the contractor can take care of them before the close of the real estate sale. Common oversights that are typically found include incomplete electrical systems, incomplete plumbing, gutters that are incorrectly installed, missing roofing components, fireplaces that are incomplete and many others. The reasons construction oversights occur vary from accidental omissions to just plain bad construction practices. The building of a new home is a complex grid of many subcontractors. Each subcontractor is dependent on everyone doing their jobs in a given time frame. When there are delays the scheduling of the subcontractors quickly becomes a nightmare. Subcontractors may be working on many homes at one time and without careful coordination inadvertent oversights occur. 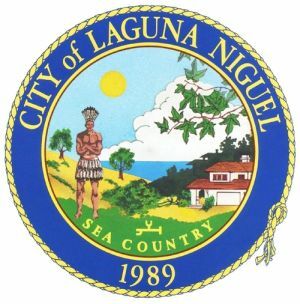 An experienced Laguna Niguel home inspector will find these problems and help reduce the headaches of the buyer before they purchase the home. Hiring an experienced home inspection company in Laguna Niguel to complete a diligent inspection of your newly constructed home is a wise decision. Be informed about your new home and make a successful transition based on the truth and knowledge you have received from our thorough inspection service. Ingraffia Home Inspections would like to invite you to call us today at (714) 371-8422.